A very busy weekend for us, but we had a good win at the Victorian Spitz Breeds Show, with Best of Breed going to Striker (Aust Ch. Janoby Get Ova It) and Best Neuter of Breed awarded to Spirit (Janoby Ivory Prince). Well done to the dogs and their handlers. striker gained his title at sunbury championship show in very good company, so proud of our aslann son he is doing his dad proud. in 9 shows he gained his title. 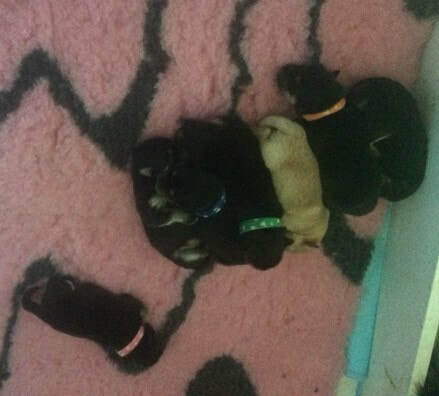 dina delivered 6 puppies last night 3 boys and 3 girls. 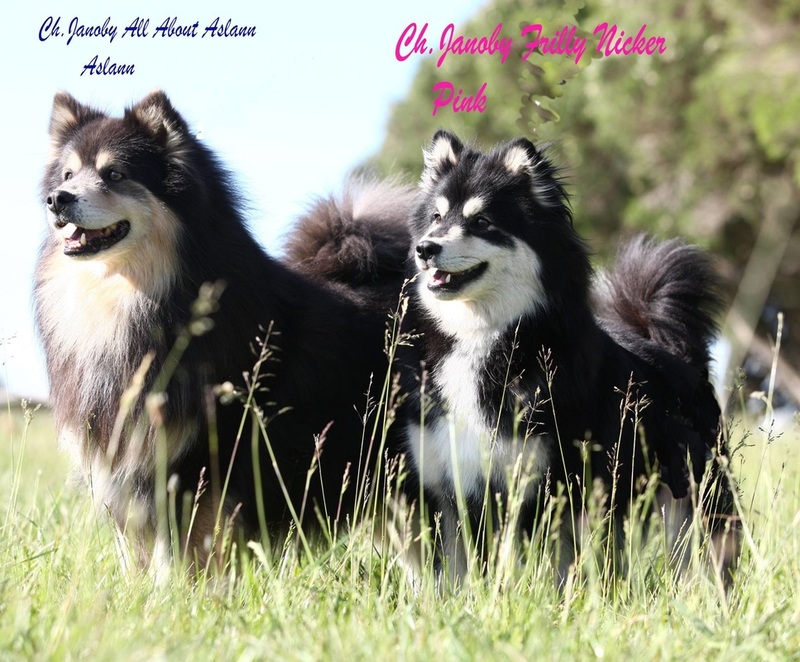 This is the second litter of swedish lapphunds born in australia. Kiki dies from pnownonia, kiki was recovering from 3 prolaspsed disc's in her back damaged by a chiropractor just as we where getting better she got very sick the tablets the vet gave her had a side effect of lowering her immune system and unfortunatly winter was not kind to her,she battled to get better but it was all to much for her. We had to say good bye to our beloved girl who started our kennels in finnish lapphunds. We are lucky enough to have so many wonderfull memories of her and times we shared. Kiki was so loving and will forever be saddly missed by all of us. this was kiki in the ring december 2011.
final points on the weekend for her GRAND CHAMPION TITLE. and dad manu ( gr.ch. Lapinlunmon Mundas (imp fld). it was ten years ago when we saw baby kiki she was so cute and was a daddies girl. 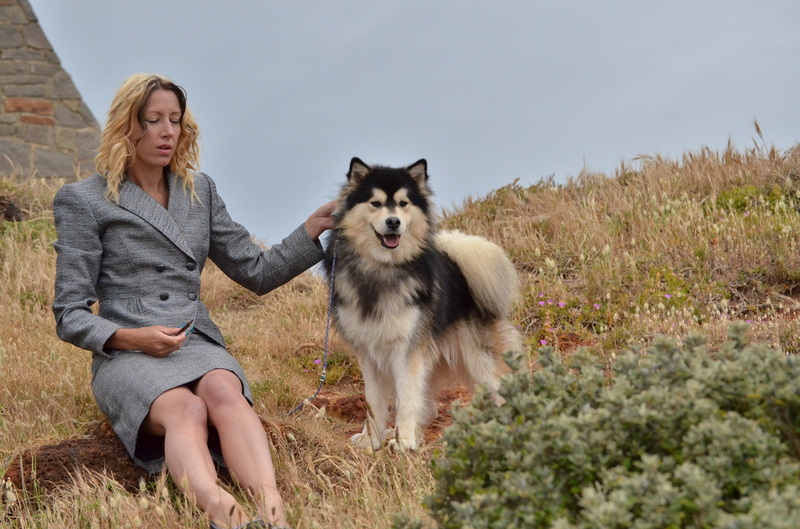 this young lady has been the start of our finnish lapphund arrm of the kennels and she has such a great temperment. Happy Birthday KIki. ch.Theldaroy wild about me. roara is showing all the signs of having puppies she has been mated to Loui so we are hoping for some very typey pups.